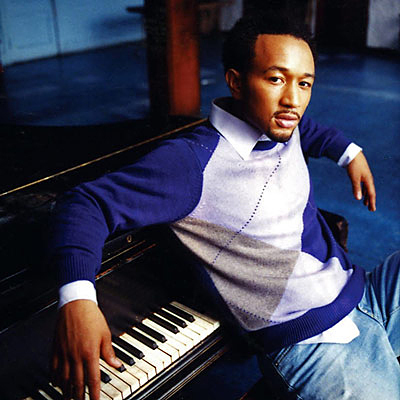 THIS IS HANDS DOWN JOHN LEGEND’S BEST WORK TO DATE AND ONE OF THE BEST ALBUMS OF 2008. EVOLVER DROPPED OVER A MONTH AGO BUT WE SLEPT ON HIM FOR A MINUTE. WE PICKED IT UP THE SAME DAY WE PURCHASED BEYONCE’S “I AM…SASHA FIERCE”. THE ALBUM IS FRESH, SMART AND WELL PLANNED. IF COLUMBIA PROMOTES HIM CORRECTLY WE CAN HAVE A GREAT 2009. 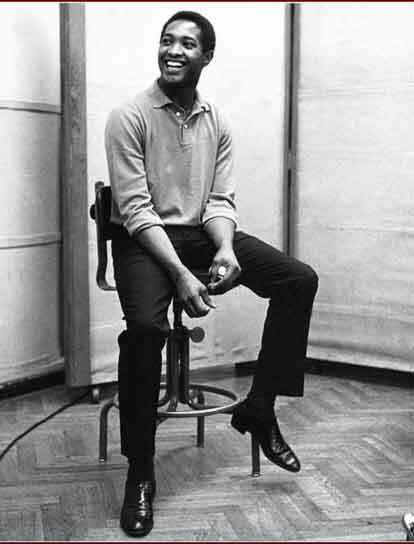 JOHN BEGINS THE ALBUM WITH A INTRO CALLED “GOOD MORNING”. KANYE’S GRADUATION ALBUM ALSO INTROS WITH A SONG OF THE SAME TITLE BUT KANYE EXECUTIVE PRODUCED THIS ALBUM WITH JOHN SO NO SURPRISE. THIS ALBUM IS HIGHLY LISTENABLE SO THERE A MORE GREAT TRACKS THEN THESE BUT HE SHINES BRIGHTEST ON THOSE LISTED ABOVE. HAVING KANYE PRODUCE AND HELP HIM WITH THIS PROJECT IS ONE OF THE BEST DECISIONS HE’S MADE REGARDING HIS CAREER THUS FAR. THE MUSIC IS INFECTIOUS AND YOU’LL BE HUMMING LONG AFTER YOUR IPODS OFF. THIS FACT IS ESPECIALLY EVIDENT ON THE TRACKS LISTED AS WELL AS THE ANDRE 3000 COLLABO “GREEN LIGHT” AND THE ESTELLE AIDED “NO OTHER LOVE”. THIS IS A GREAT ALBUM FOR ANY LOVER OF TRUE R&B AND GOOD MUSIC. JOHN FINALLY REALIZES HIS POTENTIAL OVER THESE 14 TRACKS AND WE CAN’T GET ENOUGH. GO OUT AND GET IT OR OPEN UP YOUR ITUNES AND DOWNLOAD IT. 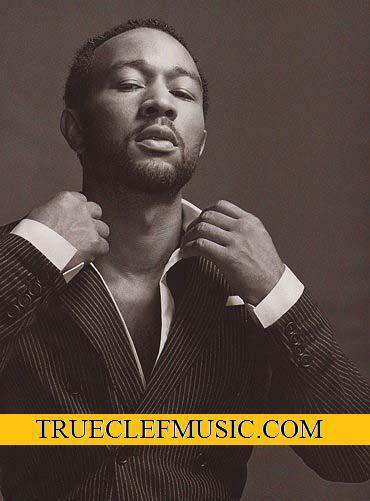 SUPPORT MY MAN JOHN LEGEND!!! 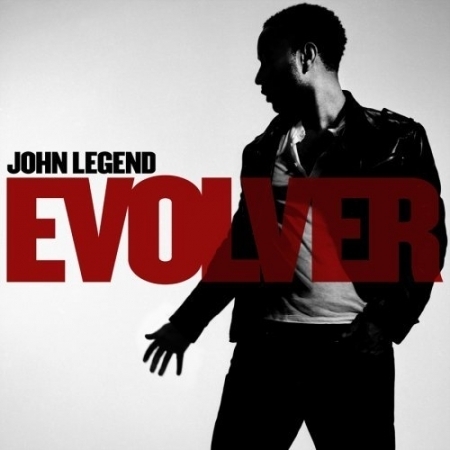 GO PICK UP YOUR OWN COPY OF JOHN LEGENDS NEW ALBUM “EVOLVER”, EXPECTED TO BE MUCH MORE URBAN, DANCE AND R&B THAN ANYTHING HE’S DONE BEFORE. KANYE WEST AND ESTELLE GUEST STAR. REVIEW COMING THE FIRST WEEK OF NOVEMBER… GO OUT AND DOWNLOAD IT VIA ITUNES OR GRAB A COPY IN STORE TO SUPPORT REAL MUSIC. WELL LET’S NOT SAY R&B CAUSE I’M REALLY GONNA TALK ABOUT THE BEST MALE VOICES IN THE INDUSTRY RIGHT NOW. JUST ABOUT ALL OF THEM HAVE DROPPED AN ALBUM RECENTLY AND ARE FIERCELY PROMOTING. USHER, CHRIS BROWN, NEYO, ROBIN THICKE BUT WHOSE THE BEST…VOCALLY. ALL THESE ARTIST ARE SO DIFFERENT FROM EACHOTHER YET APPEAL TO THE SAME AUDIENCE OF MOSTLY SCREAMING FEMALE FANS. WE HAVE OUR LONG IN THE TOOTH FORMER KING, USHER, OUR PROMISING NEW CROSSOVER PRODIGY: CHRIS BROWN, JUSTIN TIMBERLAKE AND ROBIN WELL REPRESENTIN BLUE EYED SOUL AND THE RELATIVELY NEW SINGER/SONG WRITER/RPODUCER NEYO. MANY DIFFERENT IMAGES, PERSONALITIES AND PERSONAS BUT ONLY ONE TOP SPOT. SO WHO IS IT??? WE’RE GONNA ROUND OFF THE TOP 3 FROM THE BOTTOM TO THE PINNACLE. WE LOVE ROBIN THICKE AND HAVE ALWAYS SUPPORTED HIS PROJECTS AND MUSIC BUT THE INDUSTRY AS A WHOLE HASN’T BEEN ENTIRELY EXCEPTING OF HIM. ROBIN IS WHAT MARVIN GAYE WOULD BE IF HE WERE REINCARNATED INTO THE BODY OF A 155 LB WHITE MAN BUT IT TAKES MORE THAN TALENT TO GET THE BLACK VOTE . ROBIN’S MUSIC IS DEEP, MEANINGFUL, SOULFUL AND REAL. HIS SONG WRITING IS HONEST AND SINCERE AND HIS VOICE HARKS TO THE R&B GREATS THAT CAME BEFORE HIM HE HAS FAILED TO REACH THE AUDIENCE HE’S MARKETED TO FULLY. ROBIN WANTS TO BE WHERE JUSTIN TIMBERLAKE IS. HE WANTS TO BE EMBRACED BY THE BLACK MUSIC SCENE AND EXCEPTED DESPITE HIS COMPLEXION. UNFORTUNATELY HE HASN’T AXQUIRED THE TOOLS NELLY FURTADO, JUSTIN TIMBERLAKE AND FERGIE USED TO GET IN THE DOOR . HE’S MADE US FEEL SOMETHING, HE’S MADE US LOVE HIS VOICE BUT HE HASN’T MADE US DANCE… THATS THE PROBLEM… GETTING URBAN CLUB SPINS IS VITAL TO A CROSSOVER ARTIST SUCCESS, IF YOU CAN MAKE THE URBAN COMMUNITY SHAKE THEY ASSES THEY WILL BUY YOUR SINGLES, RINGTONES AND MAYBE EVEN YOUR ALBUM INSTEAD OF DOWNLOADING IT AND LISTENING TO IT BEHIND CLOSED DOORS BECAUSE YOUR ALMOST BRITNEY SPEARS. HE NEEDS TO GO HOLLA AT TIMBERLAND, DARKCHILD OR SWIZZ BEATZ AND HAVE THEM SPIN UP A DANCE TRACK FOR HIM TO SPREAD THAT GOLDEN VOICE OVER. ONCE HE DOES THIS THEN JUSTIN, JOHN LEGEND AND EVEN NEYO WILL HAVE CAUSE FOR CONCERN BUT AS OF RIGHT NOW THE GAME IS SLEEPING ON MR. THICKE. MR BROWN…. I KNO SOME OF Y’ALL GONNA TRIP BECAUSE I PLACED HIM HERE BUT TRY NOT TO THINK ABOUT THE MUSIC OR THE GIMICS OR THE DOUBLE MINT GUM COMMERICALS. THINK ABOUT WHAT YOU FELT LIKE WHEN YOU HEARD HIS VOICE THE FIRST TIME A FEW YEARS AGO ON “RUN IT”. YEAAAAAA NOW YOU PROBABLY UNDERSTAND. CHRIS CHANNELS MICHAEL JACKSON AND TEVIN CAMPBELL VOCALLY. HIS VOICE IS AMAZING AND HIS RANGE IS MUCH HIGHER THAN THE TYPICAL MALE SINGER. HIS VOCALS CAN BLOW THE TWO MEN ABOVE OFF THE STAGE. 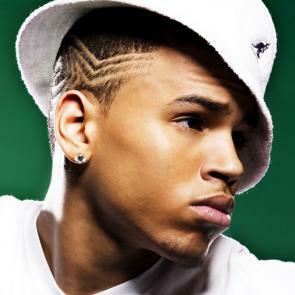 CHRIS IS A URBAN DANCE POP ARTIST THATS DIPPING AND DAMBLING IN MAINSTREAM DANCE POP BUT THERE IS HOPE. HE’S VERY YOUNG, 18 OR 19 YEARS OLD AND WHEN YOU ARE SO YOUNG AND IN THE GAME MANY INFLUENCES, MANAGEMENT, PRODUCERS, LABEL HEADS EVEN PARENTS HAVE A SAY IN WHAT YOUR SOUND SHOULD BE AND WHAT DIRECTION SHOULD BE TAKEN. CLEARLY THEY’RE GOING FOR WHATS GOING TO MAKE THE MOST MONEY RIGHT NOW. I EXPECT HIM TO GROW OUT OF THE CONTROL OTHERS MAY HAVE OVER HIS CAREER AND PRODUCE A SERIOUS R&B ALBUM SOMETIME IN THE 20S (OH SH** WE GON HAVE ANOTHER 20S LOL). YEAH ITS A MATTER OF TIME BEFORE HE PUTS THE BUBBLE GUM AWAY AND GETS REAL AND WE PERSONALLY CAN’T WAIT BECAUSE RIGHT NOT ALL HE CAN DO IS WATCH ROBIN, NEYO, JUSTIN AND JOHN EXCEPT GRAMMYS, BUT WHAT A VOICE!! !